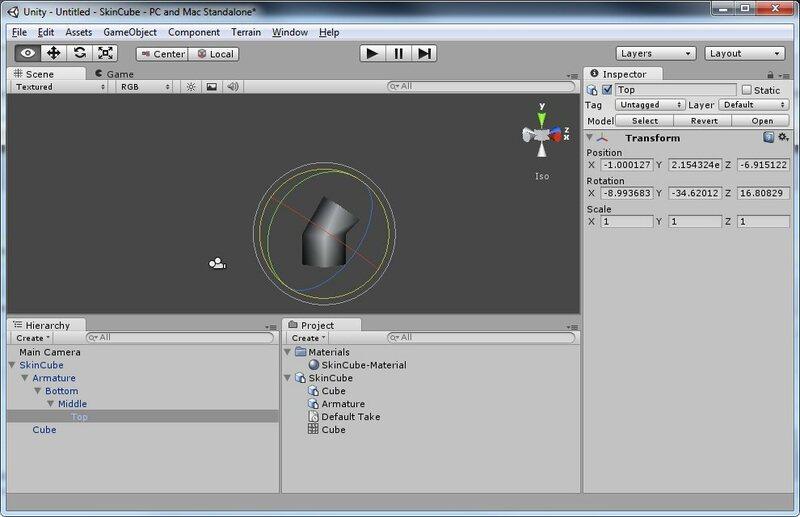 A 7-minute tutorial on how to get a basic skinned mesh through to unity. I ran into this issue and thought I would share my discovery of a way that works. The short version if you know blender well is that you have to use vertex groups instead of envelope weighting. If you don’t know what that means, watch the video, if you do, you can probably figure it out from there. Apologies if this is rather basic but I am new to blender. There are still a couple of issues with the armature itself not being oriented how I would expect after export but the animation data seems to work correctly. If you have any additional hints or tricks on this please let me know. Then the video should fix this. Skinned Meshes – Blender 2.5 to Unity from IGAMEMAKER.COM on Vimeo. This entry was posted in Art, Tutorials, Uncategorized. Bookmark the permalink. Great share, Thanks a lot.